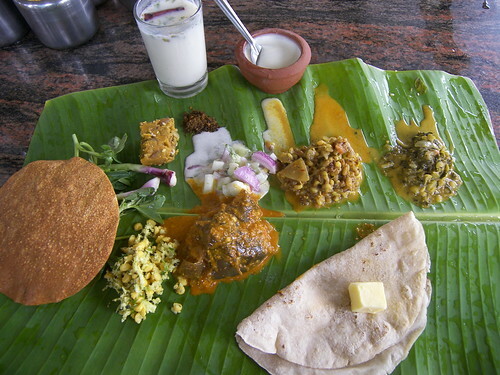 Bangalore Metblogs » North Kanara Meals@Kamats..
Once you enjoy the Roti’s, then it is time to enjoy steamed rice served with rasam or drum stick sambar a yummy affaire for sure. 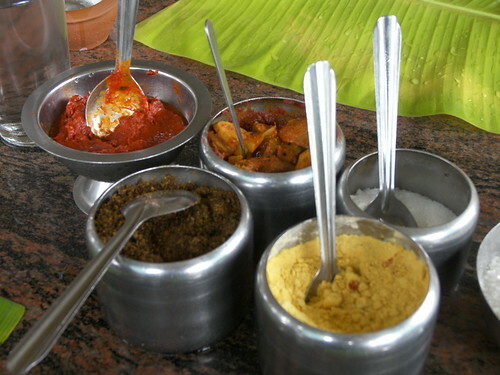 Not to miss the curd served in earthen pot, a masala buttermilk and various pickles and chutney powers kept on the table….satisfaction guaranteed!! Isn’t it supposed to be North Karnataka meals and not North Kanara meals? North Kanara = Uttara Kannada district of Karnataka. Great picture, Rajesh. Suddenly, I’m very, very hungry.